Click here to join the Chuffed Crowd. Don’t forget to say hello! Our mission at Chuffed is to do everything we can to help people make a difference in the world. There’s a lot more to making a difference than just raising funds. While we’ll always be there to help with that, we want to do more. Many of our campaigners have gone on to build amazing organisations. Like Rob from TwoGood and Kyle from Edgars Mission. You can talk to experts right now and not just about running your campaign, our experts know how to help you achieve the greatest impact with the funds you raise. Sometimes it can feel like you’re the only one who sees how important it is to just do something. This is a great way to meet others who believe in making a difference. We have an international crowd with campaigners making a difference on almost every continent even Antarctica. We work with people involved in every cause imaginable, from building schools to saving animals, and everything in between. We are surrounded by incredible people who are willing to donate to make a difference. Build connections with those who have run campaigns in the past and get their help to link you up with the donors that helped them. Help others make a difference. Running a successful campaign is an art form, and it takes great skill to use the funds raised wisely and effectively. The more support we can give each other, the bigger the changes we can make in the world. We need your help to make our community grow. Whether you’re brand new to this world, or a seasoned veteran we’d like your help to create a movement around making a difference. Above: Members of our community from the Hummingbird Project. They raised 15,000 to help people in Calais. Click the link to find out more. You’ve tried all the fundraising channels. You’ve applied for grants, done the trivia nights, approached potential corporate sponsors. Each raised a few thousand, but it’s never enough to get off the treadmill. If only you could raise enough not to have to worry about fundraising for a while, so you can focus on getting actual work done, right? Without any prior experience in crowdfunding, Libby and Caroline raised $91,400 in just 60 days. In this case study, we’re giving you each and every step that was used, including examples of social media posts and emails, so that you can replicate the exact same strategy for your campaign. The Humanitarian Group (THG) is a not-for-profit Community Legal Centre that provides migration assistance, legal advice and education for people new to Australia. When the Federal Government stopped providing funded legal assistance for most people seeking asylum in Australia, THG stepped up to help those seeking asylum in WA by opening a free legal clinic. 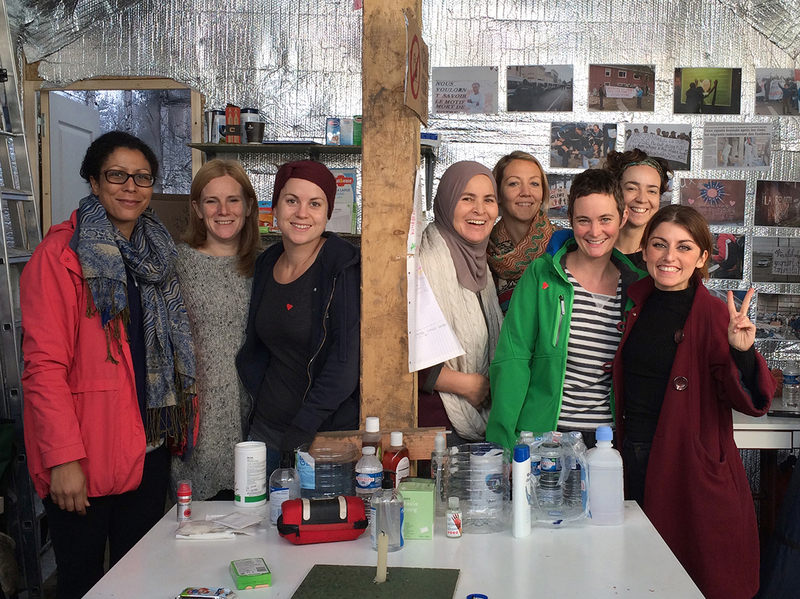 Caroline, who has worked in the refugee sector for over 20 years, and Libby, who has volunteered for the same amount of time, both joined a collective of agencies supporting THG’s free legal clinic. Their role in the collective was to help THG source funding for the clinic. They made a few successful grant applications and hosted a couple of fund raising events, raising between $2,000 – $5,000 here and there, but there was an ever widening gap between costs and funds available. The free legal clinic was in danger of having to close, which would have resulted in hundreds of people in WA being left without legal assistance and facing the prospect of being returned to countries they had fled because they had experienced, or were at risk of experiencing, torture and persecution. Realistically, they needed an urgent cash injection of $80,000 to stay afloat, and so Libby and Caroline decided they needed to look outside of the box, and their comfort zones! They researched fundraising ideas, and quickly learnt about the potential success of crowdfunding. Since they had no experience in crowdfunding, they knew they would need to be strategic. The first thing Libby and Caroline did was form a small collective of people who had the social media and marketing skills they lacked. This collective helped drive the campaign throughout. They also had an existing Facebook group of about 500 people that they could use to promote the campaign. “A crucial part of building our team was identifying our own weaknesses and asking others for help. As we didn’t have a budget to work with, we had to rely on like-minded people generously donating their time and expertise. This required us to find even more time for a number of personal meetings with people we knew had the skills we were missing. The time spent on this was invaluable! A good example is the flyers we used that were a result of creative input from two of our campaign supporters, both marketing experts, who kindly advised (and created) for us throughout the campaign. We also learnt very valuable lessons from another Legal Community Centre based in Victoria who had recently run a successful crowdfunding campaign. We met with the people involved – who were in Perth for a conference – and they were generous with their time and advice which gave us a lot of confidence to have a go ourselves. We would strongly recommend you find a similar, successful project early in your planning phase to model your own work on. Then Libby and Caroline went through their networks and identified about 50 people who they knew were rock solid and cared about the cause. Because they both worked or volunteered in the sector, they knew a lot of people who cared deeply about the situation facing people seeking asylum in WA. Together, they set out to meet these contacts in person, sending personal emails and making phone calls to the many people they knew. In addition to this, the work that Caroline and Libby did was consistently supported by individuals from the collective of agencies who were part of THG free legal clinic support group. These agencies are all heavily involved in the sector and were very keen for the campaign to succeed. An appeal was made to members of this collective to commit to taking a personal approach with contacts within their own, often extensive networks – and so the group of people feeling a sense of ‘ownership’ of the campaign grew. All of these personal approaches were designed to get two things: pre-commitments of funds, and people who could help with social media. Following each meeting, Libby and Caroline would send a follow-up email to thank them for their time, attaching their flyer, and asking them explicitly to either become a Financial Supporter or a Social Media Ambassador. The asks were very clear – for financial donors it was to tell them how much they were going to pre-commit. For Social Media Ambassadors, it was to sign up to their Thunderclap (we’ll explain what that is below). An easy next step with a clear ‘yes/no’ answer was critical in helping people commit to the campaign. 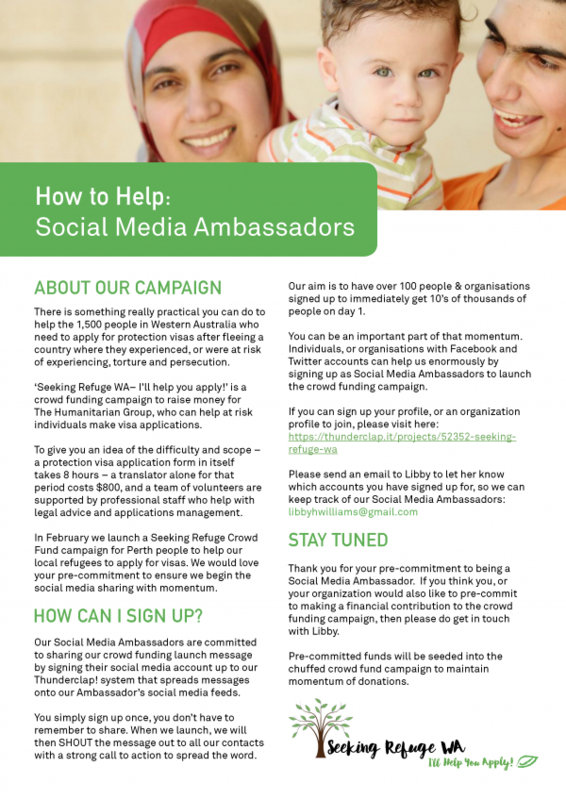 Once a commitment to Thunderclap was made, a follow up email asking people to further commit to using their personal social media accounts and email to spread the word about Seeking Refuge WA for the duration of the campaign was made. It took Libby and Caroline 6 months to have all their ‘in person’ conversations. But by the end, they had the pre-commitments and the team to launch big. Having read the Chuffed.org Crowdfunding Guide, Libby and Caroline knew that launch day had to be big, ideally raising 20-30% of the target in the first 3 days. Libby and Caroline decided to use Thunderclap as a way to get more reach for the campaign on Launch Day. Thunderclap is a platform that lets people sign up and commit to post a message that you write on Twitter and Facebook on a certain time and day. Because there are so many people posting together, there’s a higher likelihood that posts will get seen by others. The great thing is, you don’t need a huge following for a successful Thunderclap. 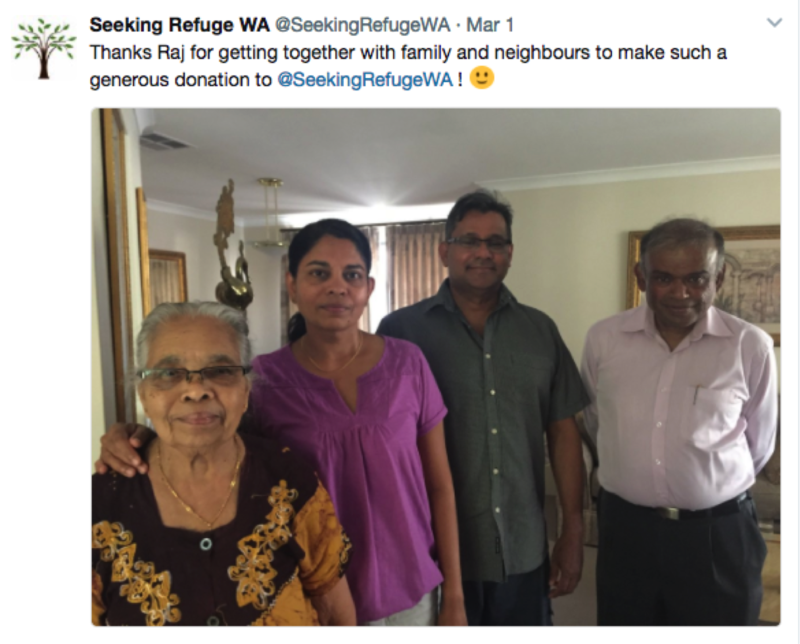 Signing up 73 supporters on Thunderclap gave Seeking Refuge WA a social reach of over 60,000 on the day. Libby and Caroline decided to launch the campaign during an event at the Centre for Human Rights Education, Curtin University, where Caroline is Deputy Director. They knew the event was likely to be well attended as The Hon. Michael Kirby, former High Court Judge and Patron of the Centre, would be speaking about Australian refugee policies. So they planned for Caroline and guests from a refugee background to launch Seeking Refuge WA following Michael Kirby’s address. During the launch, Caroline and guests outlined the situation facing people seeking asylum and the importance of the work of the free legal clinic, and how people could donate. There were 500 people in the audience, many of who were clearly interested in supporting the campaign, and the launch helped raise over $10,000 on day 1 of the campaign. As soon as donations started to flow in, Libby made sure that every supporter was thanked personally. In addition to this, some donors were asked if they were happy to be thanked publicly. This way the people who supported the campaign could see how much their donations were being appreciated, and it also provided an example for others who were considering donating. These positive donation messages received a lot of traction on social media. In addition to Facebook, Libby also set up a Twitter account to spread the word about the campaign and continue to thank donors. 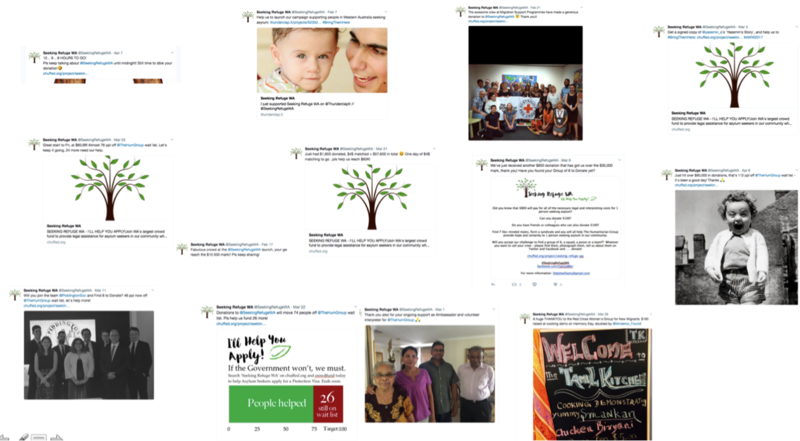 All of this activity meant that on launch day, the Seeking Refuge WA campaign was all over social media for people in Perth who cared about the cause. Before launching the campaign, Libby and Caroline also identified a number of key individuals who could either help them reach more people or access bigger donations. The team spent time identifying potential local and national organisations who might be interested, and prepared a list of contacts to engage with during the campaign. One way to do this is to either search directly in Facebook for groups or pages interested in your cause area or using Twitter’s Advanced search. Next, Libby attempted to grab their attention by tagging the influencers in Twitter posts. This resulted in some retweets from organisations (including Refugee Council Of Australia and Asylum Seeker Resource Centre) who have large online followings. The team met with others in person beforehand and kept them in the loop throughout the campaign to showcase how successful it had become. The popularity of the campaign itself made it much easier for these people to share with their networks. Prior to the campaign launch, Libby and Caroline had secured $20,000 in pre-pledged donations. These donations were used at strategic times to help maintain momentum during quiet donation times (every weekend!). Donors of $10,000 of this sum agreed that it could be put aside to be used in dollar for dollar matching during a mid-campaign slump. Grace Forrest, from The Minderoo Foundation, had also followed the campaign with interest right from the start, kindly donating an exhibition of her photos to be used during the launch event. As the success of the campaign grew, Grace got back in touch with Libby and continued to support the campaign. 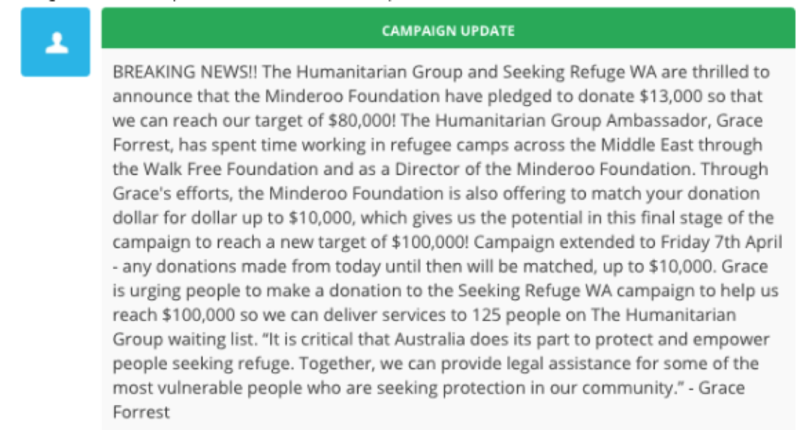 The significant social media reach of the Minderoo Foundation was very helpful in providing Seeking Refuge WA with a new audience late in the campaign. Much to their delight, once the campaign had reached $67,000 in donations, The Minderoo Foundation donated $13,000 to get the campaign to its target of $80,000 and, in addition to this, offered a further $10,000 in dollar for dollar matching. In addition to the actual donations coming from the Foundation, Libby and Caroline were now able to go back to existing supporters to give them the great news and bring new life to the campaign. Towards the end of the campaign and right before the donations from the Minderoo Foundation, Libby and Caroline worked hard to engage existing supporters and networks, encouraging them to help share the page with their networks. They had a multi-pronged approach. People love a deadline so Libby started a daily countdown on social media to highlight the time pressure. Existing supporters were already the most invested in this campaign, and they wanted to see it succeed. Asking them for help with a final push provided the support needed to get the campaign across the finish line. We are writing today to thank you so much for your kind support of Seeking Refuge WA. Your willingness to be involved has been overwhelming, and we are so encouraged by the number of people who clearly care deeply about those seeking asylum in WA. It’s hard to express how much we have appreciated the many, many emails sent, social media posts liked and shared, and conversations people like you have had – not to mention the amazingly generous donations we have received over the past 5 weeks of the campaign! We now have only 1 week to go and are tantalisingly close to our $80,000 target! The $65,600 already donated will allow The Humanitarian Group to move 82 people off their waiting list. But we dearly want to give them the funds to help 100 people who urgently need their help. We are asking you today to join with us in this final week of the campaign for one more push to achieve our target of $80,000. We would be so grateful if one last time can you spread the word about Seeking Refuge WA to your own network of friends, relatives, colleagues, and encourage them all to donate (or donate again!). In the last week or two of the campaign the many fabulous perks that were available were advertised on social media in an attempt to persuade people to donate. Here is an example of some of the perks that were available. Through the power of forming a collective and leveraging their personal networks, Libby Williams and Caroline Fleay were able to raise $91,400 for people seeking asylum in Western Australia. This amazed not only their family, friends and colleagues, but most importantly themselves. If Libby and Caroline can do it, you can too! If you have an idea for a project or cause that you need funding for, but you’re not quite sure if you have the experience or networks to run a crowdfunding campaign, think of Libby and Caroline. 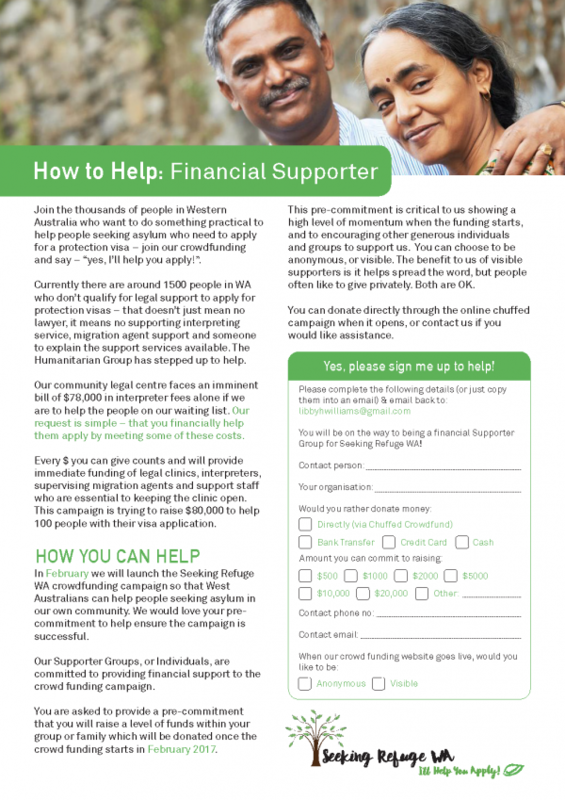 Without any former experience or knowledge on crowdfunding, they were able to raise $91,400, smashing their $80,000 target, and ensure that many people seeking asylum in WA could access free legal assistance. Start your campaign on Chuffed.org today. We provide free mentoring and support for anyone looking to crowdfund a social cause project. You want to change lives with your crowdfunding campaign—but how? Setting a large goal looks overambitious, like it’s doomed to fail from the start. But of course, you don’t want to set a goal that’s too small. So how do you raise a huge amount and motivate donors to give? Enter the stretch goal example of Kieron Safstrom, who beat not one but four separate goals with his massively successful crowdfunding campaign. 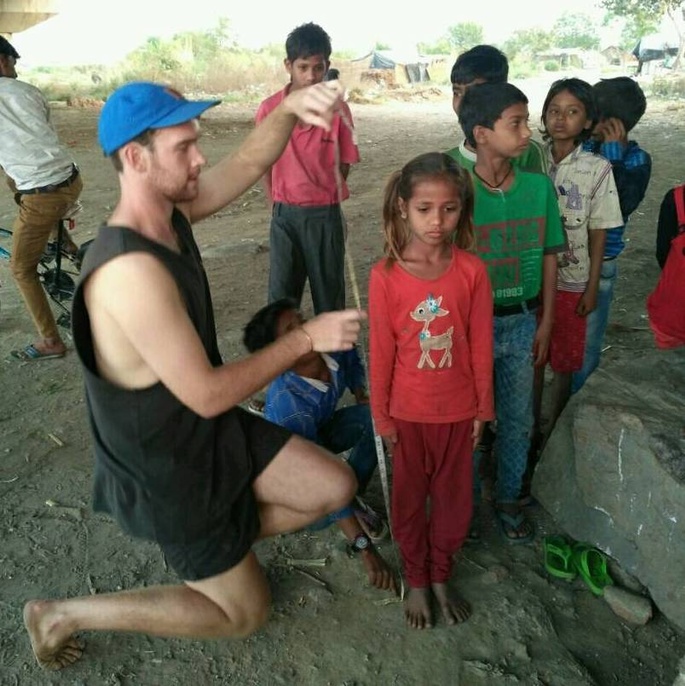 Kieron is a recently graduated nutritionist who travelled to India shortly after receiving his degree. He knew fortified milk could reverse the rampant malnutrition he encountered, and set about to provide the supplement to the children he worked with. 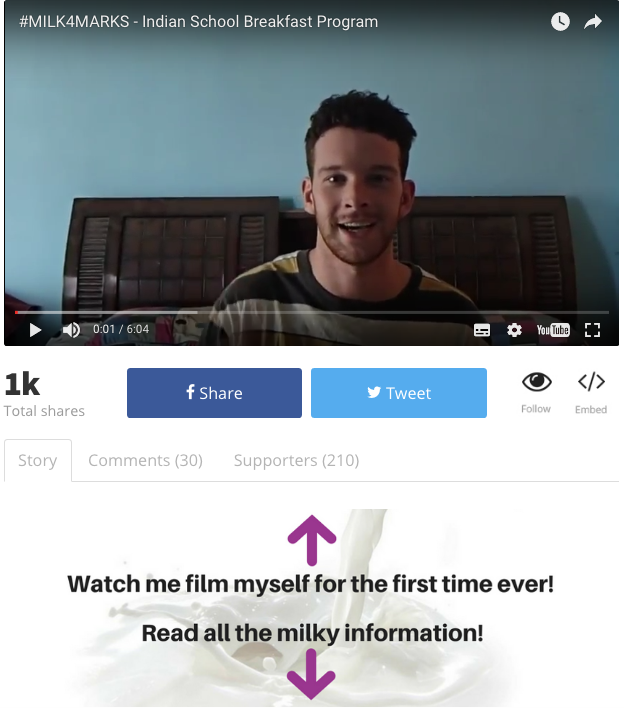 Kieron set up the #Milk4Marks campaign over the weekend with a starting goal of just $3,000—a figure he raised in a mere 10 hours. After that, he set his sights on a stretch goal of $5,000 and hit it within seven hours. Milk4Marks hit the next goal of $8,000 the next day, then met stretch goal #3 of $12,000 shortly after that. Currently, the campaign is making steady progress on stretch goal #4—raising $15,000 to help beat child malnutrition in India. Kieron is a likable guy—someone who could tell a great story at a party or make any kid smile. He used his personality to tell the story of his plan. Using the camera he had available to him in India, he recorded a simple video explaining his discoveries. The video isn’t very high quality, which adds to its authenticity. To make the video a success, Kieron didn’t just spout off facts and figures of an impersonal problem. First, he explained his background and his trip to India. He built up the credibility of his goal by explaining the large organizations that supported his efforts. In addition to a video, he included pictures of himself to tell the story of his discoveries and add faces to the issues he saw. He showed that fortified milk would make a huge difference in the lives of children, improving their livelihood and academic potential. He also built rewards into the program—supporters would receive a T-shirt or hoodie, with the proceeds going to provide fortified milk to malnourished children in India. But instead of focusing on those extrinsic motivators, he mentioned them only briefly at the end of the video. The focus was on helping children, not on receiving rewards. By telling a compelling and personal narrative and focusing on helping others, he was able to rally donors to support his cause. Unlike a lot of campaigners on Chuffed, Kieron didn’t have an email list at all. Instead, he promoted using the one form of communication he knew he had access to—his personal Facebook connections. He promoted the project heavily to his current Facebook friends, posting multiple times per week. But he didn’t ask for money every time. Instead, he posted constant updates with pictures and specific details, keeping supporters in the know about how the campaign was going. He reached out personally to his 60+ nutrition classmates from university, knowing they would be especially interested in the project. Sure enough, ⅓ of his classmates purchased jumpers, and ½ shared the post to their friends. In addition to his personal friends, he also reached out to groups he was a part of—nutritionist groups, his university, and others—and leveraged his connections with larger organizations. Using his social connections, he was able to reach a range of people that supported his cause and encouraged others to do the same. While a campaign that crushes a series of objectives seems like a miracle, there’s a science that goes into building the momentum necessary to drum up excitement and participation. Kieron’s example of a stretch goal did this masterfully. First, he started with a small target he knew he could reach ($3,000). Before even launching the campaign, he reached out to his connections and asked them to help support the project. As a result, he was able to meet the target within just a few hours and before even publicly launching the campaign. He leveraged that to build excitement—proving #Milk4Marks was going places fast. This quick success made the story even more shareable, and friends wanted to share the tremendous success they saw. Rather than a plea for money, friends could post about the success Kieron was having and the lives he was changing. And post they did! By setting the target low, he also was able to constantly have a new update to announce—every time he met and set a new stretch goal! These exciting posts kept readers engaged and showed the day-to-day progress of the campaign. Each stretch target was difficult but not impossible, keeping followers engaged and growing shares throughout each goal. By setting the original target low, hitting it quickly, and building small-but-achievable targets along the way, Keiron was able to give the #Milk4Marks the momentum it needed to succeed. Along the way, Kieron made some discoveries for his future campaigns. Focus on connections, not cold calling. Despite reaching out to 200-400 new Facebook groups and pages with which he wasn’t connected, Kieron wasn’t very successful. They were actually too big and his direct messages were not often even seen. Next time, he’ll focus all his efforts on people with whom he already has a personal connection and smaller facebook pages. Only go into crowdfunding if the cause is important to you. Kieron worked hard to make #Milk4Marks a success, and the main reason was that he was passionate about the cause. Without that excitement, it would have been difficult to keep up the energy. But since malnutrition was something he engaged with on a regular basis, he had the motivation to keep up with the campaign even when it was difficult. If you’re ready to build a crowdfunding project with wild success early on, follow the strategies Kieron used with #Milk4Marks campaign. 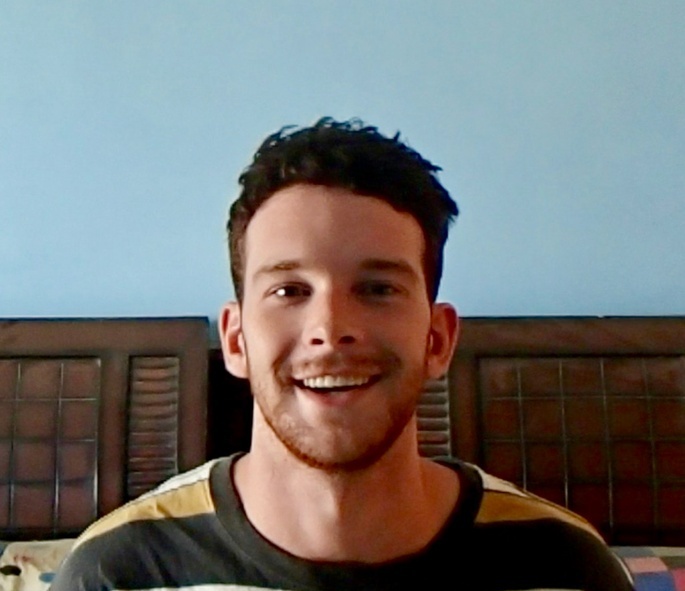 By crafting an intensely personal story, leveraging his connections, and setting the campaign up for success with small, incremental targets, Kieron was able to build massive support. Even more importantly, he built the #Milk4Marks campaign into a fundraising success with thousands of dollars to help battle malnutrition. 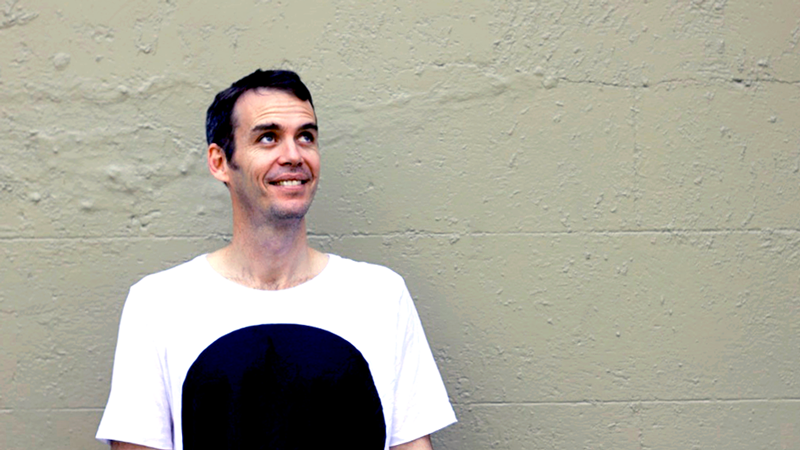 Kieron’s story is an example of a smart stretch goal that is changing the world. How do you build a massively successful community event? Most people take the usual route, and register their event on an event-specific site and start selling tickets. But there’s a way to turn an event into more than just a gathering. A way to transform it into a movement, build a tribe of raving fans, and change lives forever. The answer is simple: start crowdfunding your events. Instead of just selling tickets, using a crowdfunding platform like Chuffed for your event means you can build support and offer perks that a traditional ticket site won’t allow you to do. It’s more challenging, more rewarding, and more impactful than anything you’ve ever tried. One of the most successful crowdfunding events we’ve seen was put on by Katrina Lane and Ai-Ling Truong. Both women were passionate about tackling important issues facing the food and drink industry; and creating connections between farmers, producers, chefs, and consumers. 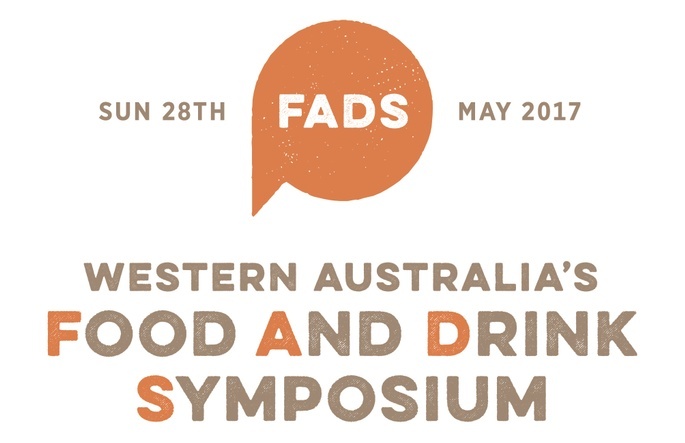 Inspired by Noma’s MAD conferences and Ben Shewry’s WAW Gathering in 2014, they wanted to organize Western Australia’s first ever Food And Drink Symposium (FADS) – a daylong event complete with talks, discussion panels, and workshops. To get it started, they would need to raise a hefty $45,000. But rather than just list the symposium on a ticket site and start selling, they chose to build a community around the event—and never looked back. Their campaign hit its goal, and the symposium went off with tremendous success. Here are the strategies they used for crowdfunding their event. The biggest difference between crowdfunding and just selling tickets is in the rewards. Unlike a traditional event campaign that just sells tickets, Katrina and Ai-Ling were able to leverage the unique abilities of a crowdfunding campaign to build even greater support for FADS. They were able to expand their offerings from just tickets to offering items like shirts, masterclasses and other food and drink experiences that were related to the event and included some of the speakers and chefs who were a part of the FADS program. 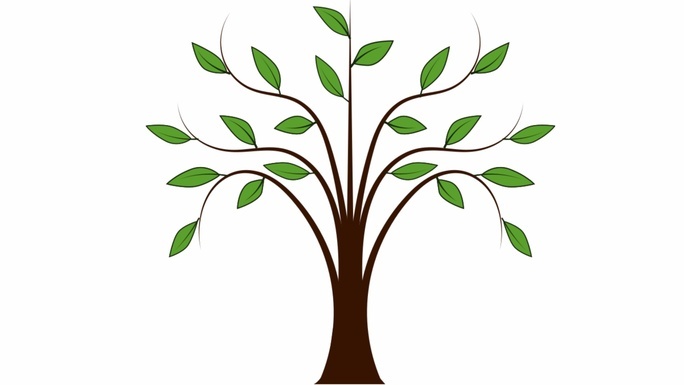 The ability to offer mini-events throughout the campaign that provided unique experiences prior to FADS for different levels of support was perhaps the biggest advantage of crowdfunding. These mini-events helped to attract new audiences, were well received and built excitement before the main event. Overall, the use of mini events as perks added a new angle to the campaign and drew in many supporters through the offline conversations. 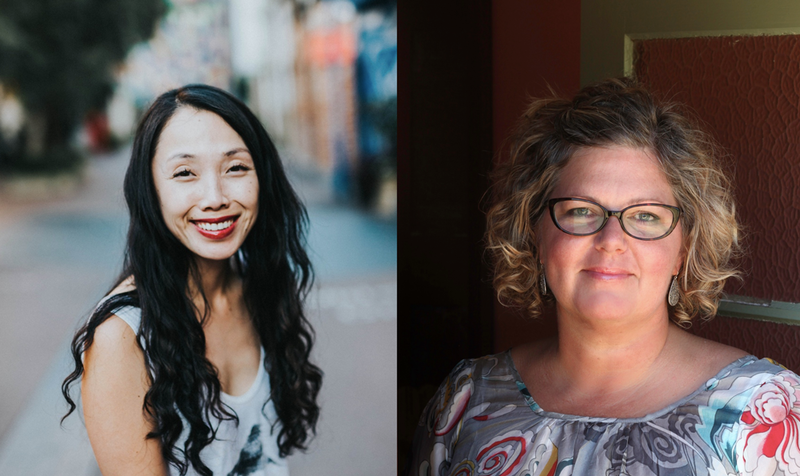 Through crowdfunding Katrina and Ai-Ling wanted to build a community of people for their event who were more engaged with their food and drink culture. They were transparent with the community and rallied its members to stand behind the project. During the entire process, they thanked supporters, donors, and speakers. Because of this focus, they found that one of the main drivers of ticket sales was word-of-mouth. People who were interested, would recommended FADS to their friends, families or colleague and this built a following offline. To support this offline dialogue and rally support for the cause, Katrina and Ai-Ling designed “mini-events” leading up to the symposium for their community to be a part of. They collaborated with people who worked in the local food and drink industry, to increase reach through their networks and communities. These mini-events provided opportunities to learn from local food and drink experts, facilitated conversations around topics related to FADS and also generated more interest in the main event as the date drew nearer. They also spent time on social media thanking those who had hosted events as well as thanking supporters individually. As the event drew nearer, they increased their social media promotion, posting more frequently and including a call to action in each post. During the opening speech of the symposium, the MC announced that FADS was 100% crowdfunded which reinforced the community driven nature of the event. The goal was to make the supporters feel valued and included in every step of the process. FADS couldn’t have happened without support from the community, and Katrina and Ai-Ling made sure everyone received the thanks they deserved. The more the campaign progressed and showed success, the more leverage it had for attracting sponsors to provide larger contributions to the campaign. Sponsorship contributions were added to the campaign, publicly acknowledged on social media and included an opportunity to be a part of FADS. They focused on engaging sponsors as a part of the campaign in a meaningful way. They also mentioned their sponsors at the bottom of the FADS website. In addition to helping the event happen, the sponsors also helped to cross promote the campaign to gain more supporters. Along the way, Katrina and Ai-Ling made some surprising observations about how the event campaign went. Most of these were specific to events since crowdfunding is a less common way of raising capital for them. Get confirmed speakers early. One of the challenges Katrina and Ai-Ling faced was getting speakers confirmed. Without a lineup of presenters, it was difficult to rally support for FADS. The earlier you have this lineup, the faster you can begin promoting the campaign. Expect sales in the last week. Four months out from the event, they planned to run a 30 day crowdfunding campaign but ended up having to extend the length of the campaign until right up to their event day. 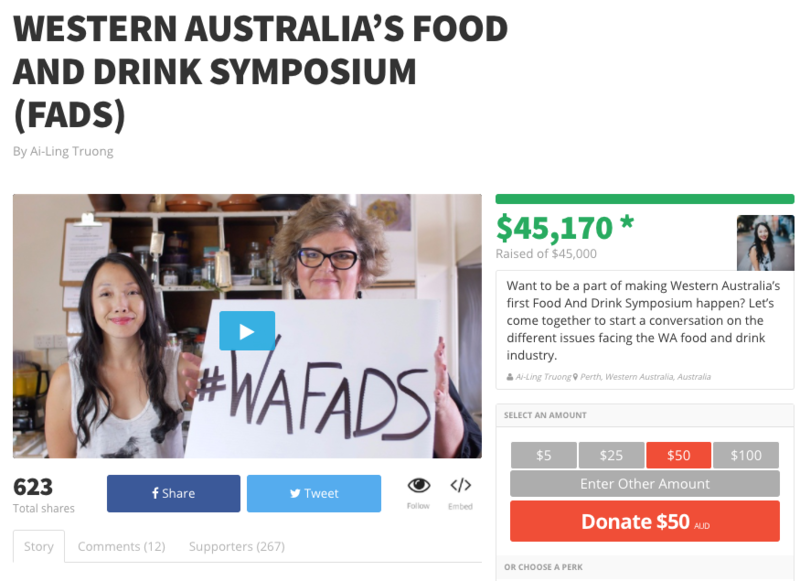 Unlike a traditional crowdfunding campaign, FADS raised a lot of money during the tail end of the campaign as their primary reward was selling tickets to the symposium and people generally buy tickets closer to the event day. In the week leading up to the event, an average of as many as ten people bought tickets every single day. Plan and prepare for this if you’re crowdfunding an event. Increase sponsorship. Businesses want to be a part of something that shows success and a crowdfunding campaign that has momentum can be built on with contributions from sponsors. For example, promoting the campaign with matching funds from sponsors can be a powerful motivator to drive donations. Reaching out to sponsors early on and working with them to be a part of the campaign could have allowed FADS to leverage this for more donations. Spend effort on community, not just PR. Despite getting some helpful media spots, Katrina and Ai-Ling found that these didn’t produce a huge spike in ticket sales. More direct and personalized communications to their community via social media, newsletters, at their mini-events and offline conversations had more impact. 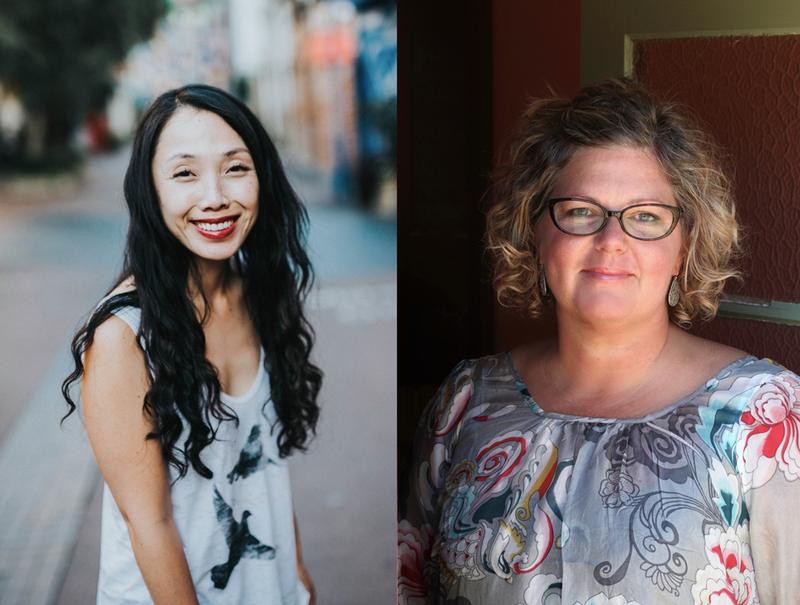 With plenty of hard work, intense learning, and support from donors and community members, Katrina and Ai-Ling were able to raise all the money needed for FADS. Following through with their budget, they transformed the facility, hosted world-renowned speakers, and launched an event celebrating the food community around them. With careful planning, Katrina and Ai-Ling created a crowdfunded event that transformed them and their community. 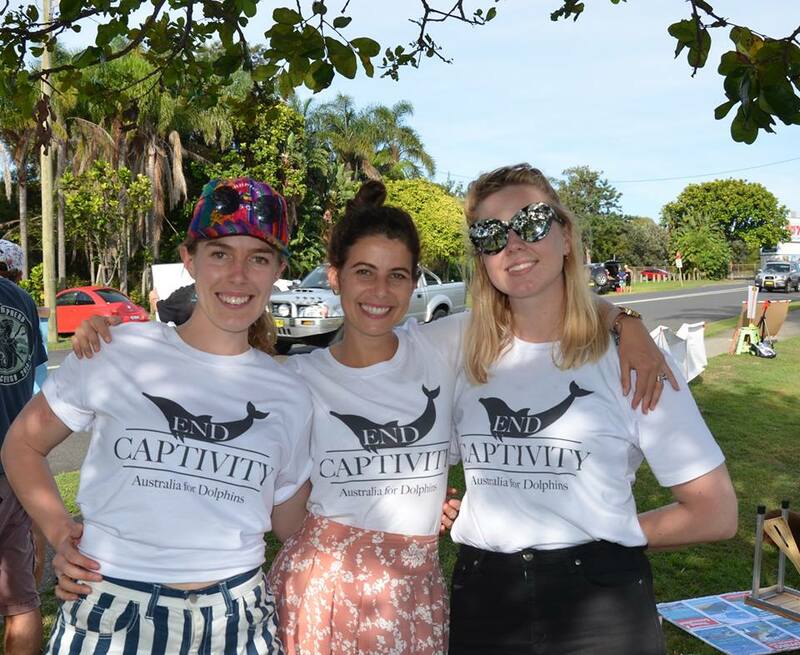 Australia for Dolphins (AFD) is a not-for-profit dolphin protection organisation with just two full time staff members. Even though they’re a small team, they pack a powerful punch. In 2015, they brought legal action against the world’s peak zoo body, resulting in more than 60 Japanese aquariums being forced to stop buying dolphins from the violent Taiji hunts. They also successfully sued the notorious Whale Museum in Taiji, the centre of the bloody dolphin hunts. In 2017, they had their sights focused on an Australian marine park, who still held dolphins in captivity. The team decided that they were going to sue the park for false advertising – their ads that said dolphins were happy and healthy, they just aren’t true. The global dolphin captivity industry is such a large scale global issue that it can be overwhelming and lacks an emotional hook. Rather than focus on the industry issue, AFD focused their story on one particular dolphin at Dolphin Marine Magic. For AFD, whenever they run a crowdfunding campaign, they focus on using it to reach new audiences. How? 2. Run Paid Facebook Ads: Advertising petitions and crowdfunding campaigns on Facebook to selected targeted audiences. They focus on people who are interested in animal welfare or specific dolphin captivity issues. 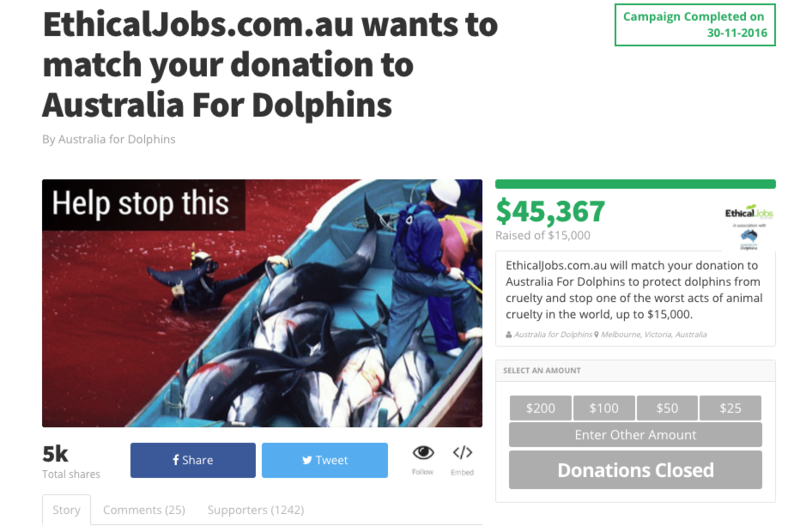 This segmented approach to communications, making their core supporters feel valued and included while focusing on reaching new audiences, is a powerful strategy that has allowed AFD to grow their audience to a strong community of over 200,000 people passionate about dolphin welfare over the past few years. The fact that AFD found an avenue of Consumer Law that allowed them to sue the marine park for misleading people to believe that their dolphins were happy and healthy was not only incredibly innovative, but also newsworthy. They knew the story had a good media hook and could get a lot of PR attention. By having all the PR contacts and press releases lined up before launch, and letting journalists know beforehand, they were able to generate awareness during their campaign which they could then use to contact their supporters again and raise more funds. For more tips on how to get PR on board, check out ‘5 steps to get PR for your Crowdfunding Campaign‘. 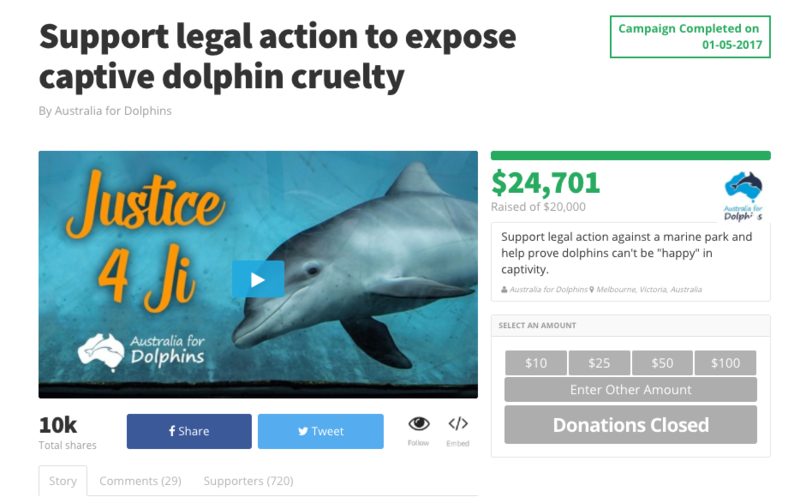 Although the crowdfunding campaign was focused on one particular marine park, the success of the case could have wide ramifications. If you are a charity, nonprofit, community group or a caring individual who wants to use crowdfunding to tackle a global issue or a local one, reach out to us at [email protected]. We’re here to help. Do you wish you could share your passion with the world? That’s exactly how Nat Panzarino and Fer Wicker felt. Both knew the struggles of greyhounds, and wanted to spread the message they lived out by volunteering for local greyhound rescue. 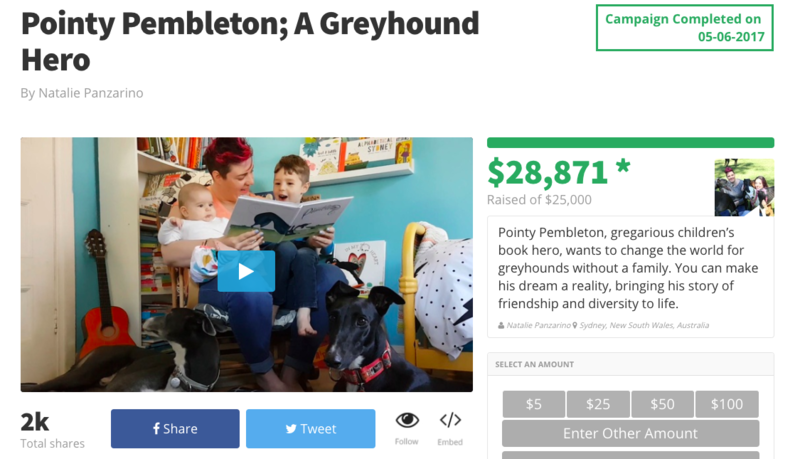 To do so, they decided to collaborate on a children’s book called Pointy Pembleton—written by Nat and illustrated by Fer—raising awareness about greyhounds in an appealing way. They’d also donate a portion of the book’s sales to greyhound rescue. Their campaign required $15,000 to get the book to market, and it took off quickly. Once they noticed the success, Nat and Fer extended the goal to $20,000—then met it. They set a stretch goal of $25,000—and met it as well. By the end of the campaign, they had raised $28,871 for the Pointy Pembleton campaign—almost twice as much as their original target. But of course, the magic was behind the scenes. Nat and Fer used three specific techniques to garner interest in the project and draw support. Throughout the entire campaign, Nat and Fer used videos to inform and rally supporters. The videos were vital to the campaign’s success, and really made it stand apart and develop relationships with readers. To succeed with this medium, Nat and Fer followed a few principles. They kept the videos positive and encouraging. 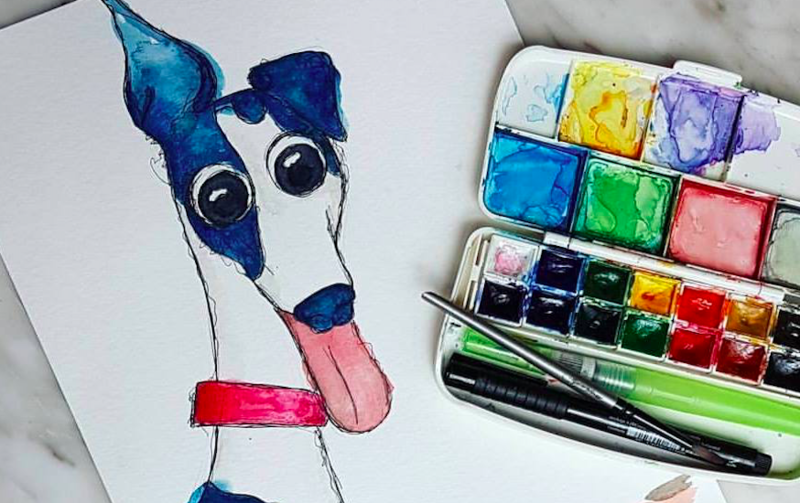 Instead of including startling images of abused dogs, they chose to tell the story through uplifting stories of rescued greyhounds and Fer’s illustrations from the book. In the videos, they specifically asked people to share the project with friends to help the dogs. They made the videos personal and informal. While the main promotional videos have a high production value, most of the videos Nat and Fer created for the campaign were casual, smartphone-filmed snippets of them and their dogs. Nat calls the videos she posted on Facebook groups “overly cheesy,” and some of the more popular video showed them working behind the scenes. Nat and Fer were strategic with how they communicated to supporters, and it paid off big time. They chose channels that already worked for them. Nat knew that Twitter wasn’t a strength for her and wasn’t as popular in Australia, so she focused just on Facebook and Instagram. A month before the launch, Nat and Fer created a Facebook page for Pointy Pembleton, and focused most of the promotion there. They posted regularly. They posted a minimum of one time per day on Facebook and Instagram. But these weren’t all just requests for support—they gave behind-the-scenes detail and entertained followers with humorous and interesting videos. They reached out to influencers. 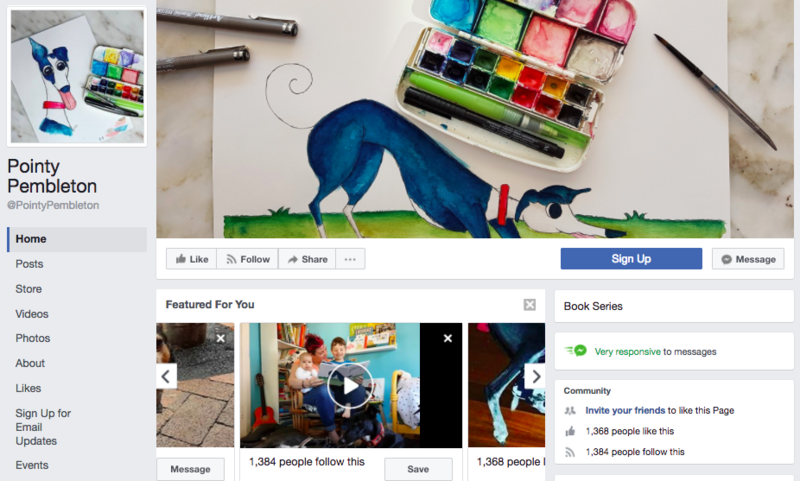 Every day, Nat spent about an hour messaging and posting to Facebook groups and pages to related organisations in the dog rescue and children’s book spaces. Only about one out of every 100 influencers responded, but those that did shared it themselves or encouraged her to promote to their followers. One of the biggest factors leading to the success of the campaign was the large body of support Nat and Fer had before beginning. 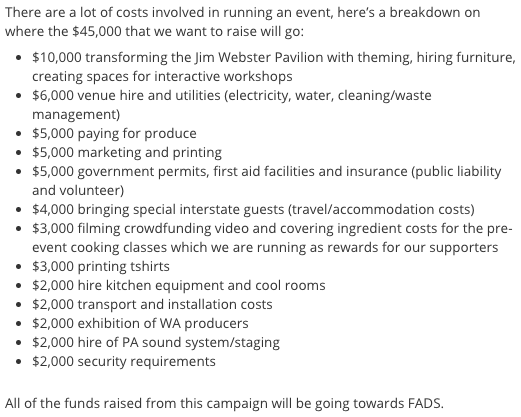 Here are a few of the ways they rallied support with those who had already expressed interest before the campaign. Enlisted volunteers to help. They already had 100 volunteer connections, and weren’t afraid to leverage them to join the cause. These volunteers helped spread the word and helped with some of the manual labor required to get the campaign going. They used their follower’s content in their campaign. Nat created a guide for other to create their own videos for the campaign, and included those videos in the promotion. This built up a community and encouraged others to participate. They encouraged existing followers to join the cause. Nat and Fer chose to not be shy about their request from support with their followers. 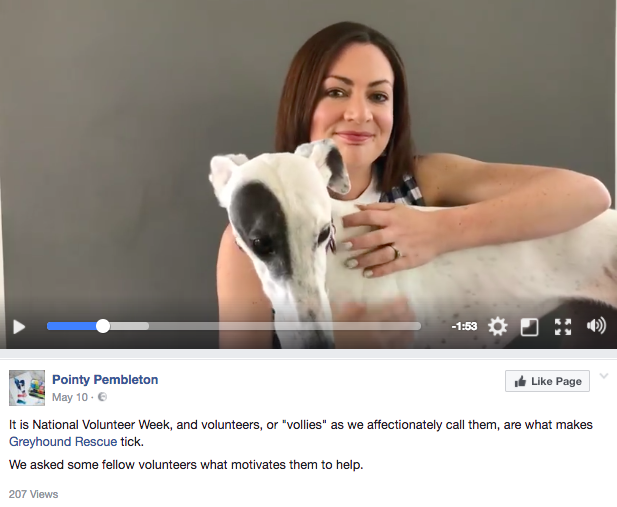 After launching their Facebook page, they encouraged their existing 20,000 social media followers on the Greyhound Rescue page to like Pointy Pembleton. Nat also personally messaged her friends asking them to share the campaign. They didn’t underestimate the funding of their existing supporters. Instead of expecting funding to come exclusively from others new to the campaign, Nat and Fer reached out to those who had closer ties to the campaign in the same way as those new to it—and it paid off! The biggest donor was an existing volunteer, and the second-biggest donor was Nat’s father-in-law. Along the way, Nat and Fer also learned a number of strategies they weren’t expecting. You don’t need experience to succeed at crowdfunding. Despite being brand-new to the crowdfunding space, Nat carefully studied the Chuffed.org campaign strategy videos. “I probably watched them like a half a dozen times,” Nat says. Build as large a team as you can. Even with the sizeable number of volunteers helping them, Nat and Fer would have built an even bigger team in hindsight. Once the campaign started, they could have used even more volunteers to manage the huge volume of communications. Nat and Fer learned a lot in the campaign process, and inspired countless others to their cause of helping rescue greyhounds. With a strategic use of video, powerful communication, and an effective use of their connection, Nat and Fer led a project that surpassed all expectations. Pointy Pembleton is now available for pre-order. Head to their website for more information. If you like Edgar’s Mission’s Facebook page, it will become very clear, very quickly why people have such a strong emotional bond with them. Instead of taking the usual path of animal welfare organisations – focusing on the negative, shocking imagery of people mistreating animals – Edgar’s has taken a different tact. They focus on the positive stories of the animals that they clearly love. Their posts are personal, beautiful and uplifting. This strategy has paid off as they’ve created a social media presence, where people enjoy interacting with them, which has allowed them to build up a sizeable, engaged audience. This audience, whether it’s on Facebook, email or Twitter can make the difference between a successful campaign or one that goes nowhere. Also, it doesn’t necessarily take a few years to do this – and you don’t need cute animal pictures. The important thing is to focus on content that people enjoy, rather than on what you want to tell them. Like for most public fundraising, discreet, exciting, new projects work best for crowdfunding. The key in choosing the right project is to think about the audience that already loves you, and figure out what project will get them excited enough to tell their friends – in the online and offline world. If you can’t imagine one of your supporters excitedly telling one of their friends about it over dinner, it’s probably not the right framing of your project. The other key thing that Edgar’s did was to test their ideas with potential supporters. This process ensures that you do create something that your supporters will enjoy and often results in creating some of your best advocates for your campaign. What’s clear in everything that Edgar’s communicated to their donors was that they loved what they do and wanted to share some of that with their donors. Rather than seeing the process as fundraising first, then reporting back later, Edgar’s continuously involved their audience with what can only be described as beautiful content – including photos, videos and stories of their residents, first-person narratives about what’s happening on the farm and their raw reactions to the support that their donors provided. This continuous process of giving value to their audience, transformed the campaign from being about them needing something to being about them wanting to share something with people that they knew would enjoy it. The fundraising wasn’t merely ‘asking’ , it was a true ‘value-exchange’. What’s clear from the comments on their Chuffed.org page was that their donors got as much, if not more, out of the experience of the campaign as Edgar’s did. 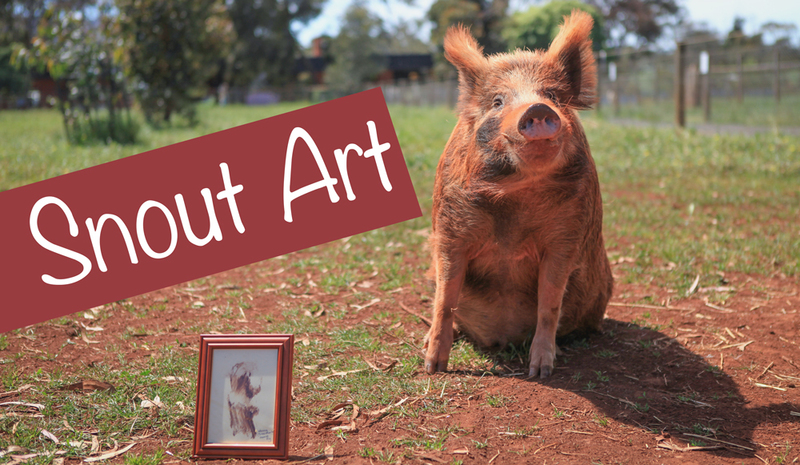 In 2003, Pam Ahern started up Edgar’s Mission, a not-for-profit sanctuary for rescued farmed animals located 70 km outside of Melbourne in Willowmavin, Victoria. Over the next decade, more and more animals found a home at Edgar’s until in 2013, it became clear that the 300 plus residents needed more space. Over the course of 2013, we searched out a new, bigger home and we also began our fundraising campaign. In April 2013, we launched our ‘Kindness Challenge’ – a community fundraising appeal where we asked our supporters and volunteers to fundraise on our behalf to support us to buy the new farm. These community fundraisers ended up raising about $150,000 – a good start in purchasing the farm, but not enough to fit it out. By February 2014, we were able to enter into negotiations to purchase what would become the new Edgar’s Mission. At that point, we decided to change our fundraising strategy, to really involve people in the exciting part of the move. Our fundraising objective was clear – to raise funds to start setting up the infrastructure for the sanctuary to start moving the residents over as soon as possible. In addition we wanted to increase our donor base to help with the costs of running a new and larger sanctuary to make it financially sustainable in the longer term. This was when we started thinking about crowdfunding. Over the last 2 years, we had made a deliberate investment in building up our social media audience. Our approach to Facebook was quite simple – try several different types of posts and see what worked. 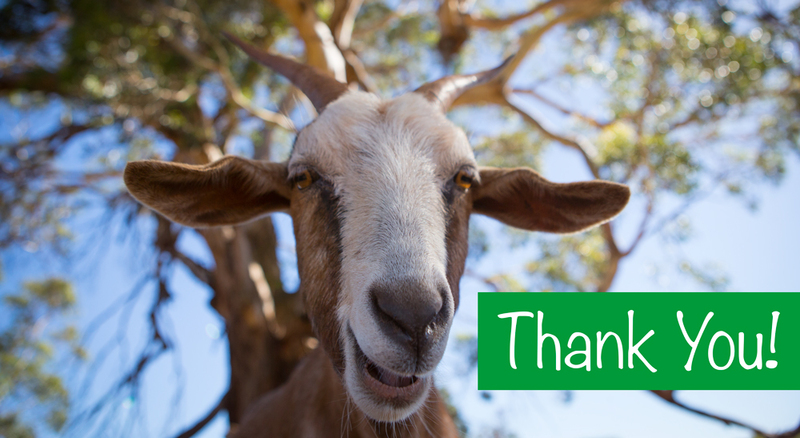 We told the animals’ stories; tried competitions; had theme days like #ThankGoatItsFriday and slowly did more of what people liked and enjoyed and less of what they didn’t. The key for us was to keep it positive, not focusing on the pain, agony and mistreatment of the animals but on the joy, hope and fun that they brought to everyone. This approach applied with concerted, consistent effort started to pay dividends. At the start of 2012, we had 5,500 likes on our Facebook page. By the start of 2013, that had leapt to 16,500. By the start of 2014, we were at 41,000 and by mid-2014, we were over 80,000. This audience – plus the email database we had started to build – would be the keys to our crowdfunding success. While there are more traditional ways to raise funds for capital projects, we decided on crowdfunding as it was the best way to raise funds quickly as well as actively involve our donors. Other ways of fundraising were very mono-directional, but crowdfunding allowed us to have an intimate relationship with our supporters during and after our campaign. Our first choice was to decide which crowdfunding platform to go with. After looking at different crowdfunding platforms we decided to go with Chuffed.org because they were a social enterprise that was set up to run and assist non profits to fundraise. There were no fees and credit card costs were the smallest compared to other platforms. We wanted to use perks as a way to allow our supporters to participate in the new Edgar’s. In order to design perks that people would actually want, we held a meeting with 10 core volunteers to expand on our ideas for the campaign as well as perk ideas. We grouped individual ideas by theme then selected a specific number and matched them with perk values. This was extremely beneficial as many of the perk ideas stemmed from this meeting and a number of this group donated significant amounts early on in the campaign. We were fortunate that one of our staff members, Kyle, was able to film and edit a campaign video which used our Founder, Pam, to tell the story of the campaign. We used video updates as a simple way to help connect our supporters up with our team and the campaign. We decided on a ‘Keep what you raise’ style of campaign, rather than an ‘All or nothing’ campaign as we didn’t know how well we would do at that stage. To make sure we were prepared, we had mapped out a rough timeline of different photos, videos and stories we could share to keep the campaign momentum alive but this plan had to change quite quickly as things didn’t quite go to plan. On the morning of 26th March, we launched our campaign by sending out an email to our supporters with a link to the video and the campaign and later in the afternoon, posting on Facebook. The response was astronomical. In the space of 3 days, 272 supporters contributed to our campaign, and we hit our initial target of $50,000, 57 days ahead of schedule. We were faced with one of those problems that fundraisers love to have – what do we do now? Talking to the Chuffed.org team, we decided to set a new stretch target of $100,000 but were conscious to explain to supporters explicitly what the extra funds would allow us to do. We framed the stretch goal as allowing us to build the Edgar’s Mission that we dreamed of and that the animals deserved, which included building a goat mountain, an animal hospital and a magical duck pond. When we hit our first target, we sent out a second email thanking everyone for the amazing response. This email and the subsequent celebratory Facebook post spurred another wave of donations. By the end of our first week we had raised $66,000. At this point, we decided to lie low for the middle of the campaign and push all our content in the last 2 weeks, instead of evenly pacing it out. The reason for that was that the momentum of crowdfunding campaigns is such that most donations come in the first 10 days and the last 10 days, so it made more sense to concentrate our effort and the break gave our supporters some breathing space from receiving campaign-specific content. During the last 2 weeks of the campaign we launched a video of Edgar’s Mission Ambassador and Australian Cricketer Peter Siddle with his partner Anna Weatherlake at Edgar’s Mission promoting the crowdfunding campaign and in the last week of the campaign we launched the Polly Pig $10 Facebook challenge. We have a very active Facebook page with many people following our animals stories and we wanted to give people an opportunity be part of the new sanctuary knowing that not everyone had the funds to sponsor a fence ($1000) or a shelter ($2500) – two of our high-value, highly-sought-after perks. 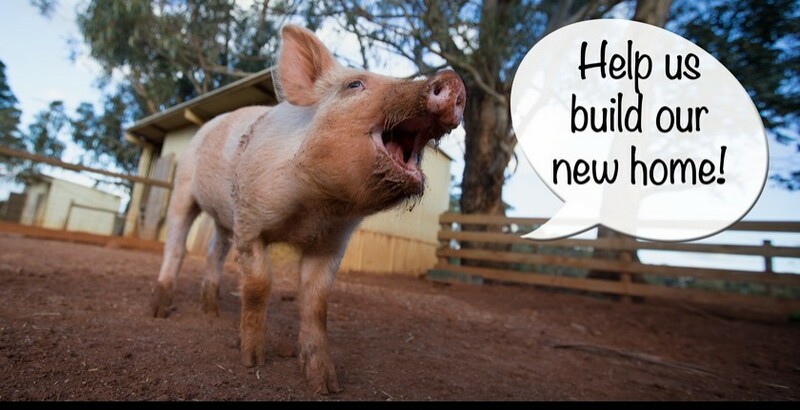 The Polly Pig $10 challenge was a Facebook-only offer, so that for a donation of $10 your name would be listed on a plaque on a structure at the farm. The more money that was raised (in total) the bigger the structure that would be sponsored. In the space of a few days, 438 people donated $10 and the renewed momentum prompted many higher value donations as well. By the 14th May, 49 days into our 60 day campaign, we crossed the $100,000 mark. At this point, we decided against increasing our target again, as we thought it would lead to confusing messaging to our supporters. The last few days were very exciting as we passed $150,000 and finished with a grand total of $162,458 with 1,787 supporters from over 14 countries making this the largest Australian non-profit crowdfunding campaign on any major platform, as far as we can tell. What’s even better, nearly half of those who donated were first time donors to Edgar’s Mission. 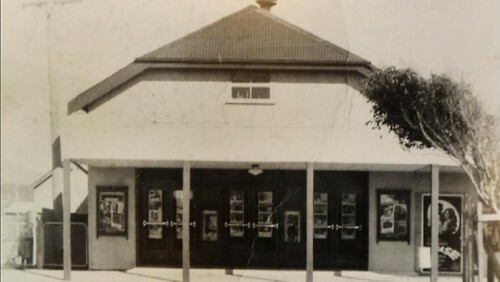 Seventy-Four years ago in a small town on Australia’s east coast, Doris and Alan Brissett purchased the local Community Hall with a grand plan to create the town’s first cinema. They added some wooden tiered seating, a projection room and the Sawtell Cinema was born. For three generations the Sawtell Cinema remained in the Brissett Family. In that time, the cinema has faced many disasters. In 1955 the original building was destroyed by a mini-cyclone. In 1989 and again in 2009, floods damaged the cinema. Each time, the community stepped forward to support their local icon. But then digital projection arrived, and the cost to switch over was too much. The Brissett family put the cinema on the market in March 2012 and when no buyer came forward, in December 2012, the cinema closed. For two years Sawtell Cinema waited for the community to show their support yet again. In January 2015, a group of local patrons stepped forward and purchased the original building with a grand plan to transform it into a 21st century cinema, but retain its quaint, historic feel. The refurbishment would cost $1.4M. While most of that was raised privately, the patrons wanted to find a way to involve the local community in the saving of the cinema and to help them feel like they, too, were part of history-making. They decided to run a crowdfunding campaign. In just over two months, the Sawtell Cinema blasted through its initial $75,000 target and ended up raising $142,500. What follows is a step by step account of what they did, told by Stephanie Ney, who ran the campaign with Stephanie Hunt. We started preparing for the campaign in January 2015, with the aim to do a soft launch of the campaign in June and an official event-based launch on 4 July. The first step for the team was deciding what type of campaign we’d run. While we could have run a “capital appeal” type of campaign, and gone after pure donations, we found in our research, that the successful theatres/cinema campaigns used a ‘name a seat’ type program. For $X, donors got the perk of naming rights or sponsorship of a seat. We wanted the perks to acknowledge people’s contribution and make them feel like they owned a part of their local cinema. As a bonus, we also designed rewards as a way to get the word out (through bumper stickers/t-shirts) and to get people into the cinema once it re-opened. $5,000: A private screening/party for 40 of your closest friends in boutique cinema. In addition, everyone who donated above $500 also got their name on the Honour Board in the foyer, under exclusive headings such as ‘A-listers’, ‘Directors’, ‘Cameos’, ‘Executive Producers’, ‘Producers’, ‘Patrons’. One of our favourite ‘name a seat’ campaigns was for the Isaac Theatre in Christchurch, which had Sir Ian McKillen as its patron. We wanted our own, local patron. Through an Armidale contact, we had a connection to David Stratton, and approached him to be the campaign Patron and he generously agreed. We leveraged David everywhere – he was the centrepiece of the video and he was in our perks. This not only helped broaden our media appeal, it helped with branding of what Sawtell Cinema is all about; regional, independent, quality films, and a community’s cinema. We released the primary 90 second video on Facebook in the lead up to the campaign and a new video each week of the campaign. We got Screenwave – an outdoor cinema company – to show 30 second versions before their Cinematinee screenings and we put up a longer 4-minute version on our website. Having locals star in the videos turned out to be just as important as having a celebrity – not only does everyone want to share a video that has them or someone they know in it, the video created a sense of pride and community. When we first started planning, we read How to Raise $15,000 in 50 hours by Rob Caslick which is a great starting point. It emphasised the importance of names and lists and developing an ‘inner circle’ of people to champion the campaign with you. This is what we did to establish a list. We set up a Mailchimp account and decided that we’d focus on growing that database. The first natural list of supporters to leverage was the old ‘Friends of Sawtell Cinema’, a group of passionate locals who banded together back in 2009 when the cinema flooded. Through the ex-President of the campaign, we contacted the 300 people on the list and invited them to join our mailing list (by clicking through on the email). Other groups had formed since the gap was left in the marketplace when Sawtell Cinema closed, like the Coffs Harbour City Council who ran Coffs Movie Club and Screenwave, who were running fortnightly ‘Cinematinee’ screenings at the local theatre. We promoted our campaign to these groups, and they were issued with invitations to join our mailing list and be kept up to date with all the latest on Sawtell Cinema. Next, we started a Facebook Page at www.facebook.com/savesawtellcinema. We were planning to keep it on the down low until we had prepared our database/mailing system, but it accidentally got shared and within 3 days we had over 3,000 likes. We then had to convert the Facebook audience to our email list which we did by posting links to our email signup page regularly on Facebook. This is important because it’s a lot easier to miss a Facebook post than it is to miss an email. We quickly set up our website at www.sawtellcinema.com.au and again, put more links there to join the mailing list. We also directed people to our website via Faceboook in its first couple of months. At the same time, we developed our own ‘Inner Circle’ of people who would be our ‘stars’ and frontline in promoting our work (what Rob Caslick referred to as his ‘foot soldiers’ in this Chuffed.org Case Study). 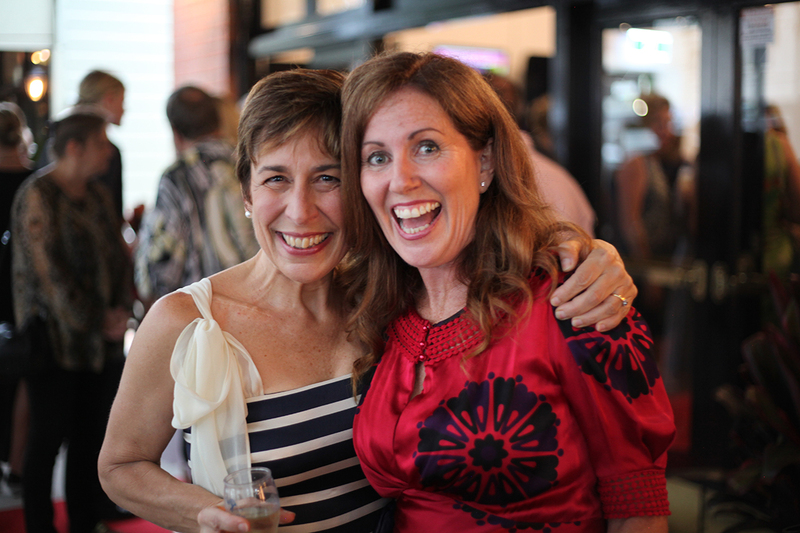 We selected people who were passionate about the cinema, culture and the arts and were well-connected in the community – the movers and shakers and key influencers of the Coffs Coast if you like. Their email connections with various groups helped build the loyal groups of supporters of the campaign and reach people who had the means and the commitment to donate. Our official launch date was set on the 4th July 2015. A week prior, we opened up the campaign in a “pre-launch”. We sent out an email only to supporters who had signed up to our mailing list, and as a special reward, they got first dibbs on all rewards – important as the number of seats to be sponsored were limited. This was a great way to not only thank people who had signed up with us, but it also meant that when the official launch happened, we already had money on the total. Facebook is also the ideal platform to unveil something like the refurbishment as it happens and give our followers a ‘behind-the-scenes’ look. To drive our social media campaign and assist with the workload, we set up a communications steering committee. Our first Facebook strategy was to take photos of locals and ask them to share their favourite Sawtell Cinema memory or tell us why the Cinema was important to them. We posted these on Facebook – along the vein of the ‘Humans of New York’. This was not only easy, as everyone had a story they wanted to tell, it was very sharable. People love seeing themselves online – and this again assisted with building community. We also shared photos of the old cinema and had a ‘Sawtell Saturday’ section sharing beautiful nature photos from our community. As a bonus, people started sharing their own special photos of Sawtell Cinema, which were easy to repost. Media support was very important, particularly for those not on Facebook. We established a number of media partnerships, including community and commercial radio stations, ABC Coffs Coast and Arts Mid North Coast, the local paper, Coffs Coast Advocate, plus sent regular media releases to a range of newspapers, radio and television stations. Community radio station 2AIR FM were particularly supportive, and in the lead-up to the crowd funding campaign gave regular hour-long interviews with various people involved in the campaign, including the architects, designers, steering committee members and crowd funding campaign team. The week leading up to the launch, we decided to accommodate offline donations so people could pay by either cash or cheque on the day, as many of our audience are not web-savvy and don’t feel comfortable making online contributions. The mechanics around this meant preparing forms at the last minute for each reward level and having to manually enter donations to the ‘back-end’ of Chuffed.org during the day. This was important as many of our rewards were limited, and so it would have been disastrous to sell one offline that had already sold out online. On launch day people also requested to make electronic funds transfer directly to our bank, so we had to quickly set up a system to accommodate this as well. These tools then let us do a number of things offline. We went out to various social groups and networks and gave live presentations on what we were trying to achieve. With the Chair of the Investor Group, we spoke at breakfasts, lunches and dinners with Rotary Clubs, Lions Clubs, Probus, social groups, business networks – encouraging them to support the campaign. We had our local Post Office take offline donations across the counter throughout the campaign and this greatly assisted particularly the older market who deeply loved the cinema take part in the campaign. Over $10,000 was raised through the Post Office alone. In May the Investors held an Auction to sell some of the old equipment and features of the cinema that would not be used in the refurbishment – including all the old seating. We decided to open the cinema the day before the auction as a Community Day so people could come in and have one last look at the cinema before the renovations began. The Auction also gave locals the chance to pick up a piece of Sawtell Cinema history – and we ended up raising $10,000 towards the refurbishment, plus saved money in removing, relocating or ‘dumping’ the old fixtures. It all added to the inclusivity. This event by itself got broad media coverage on radio, print and television. More broadly, we thought it was important to have a visible presence around the community, so we produced some marketing posters and flyers that were distributed to cafes and retail outlets across the region. Huge movie size posters were framed in the display windows on the outside of the cinema, promoting key events such as the Auction, the Facebook campaign and the crowd funding campaigns and rewards. Without a doubt, all these offline strategies paid off. Of the $142,500 raised, $57,800 came from offline donations. We decided to do a live launch event on 4 July during the annual Sawtell Chilli Festival which attracts up to 10,000 visitors to the main street of Sawtell. We thought this would assist with media interest plus give us an opportunity to physically sign people up to donate to the campaign on the day. We opened the doors to the cinema foyer one more time and a group of our ‘Stars’ volunteered on the day, all modelling the limited edition ‘I Saved Sawtell Cinema’ t-shirt. Local computer business, Coffs Computing, provided iPads so our volunteers could assist people with making donations. We fitted out the Box Office as a photo booth and photographed and interviewed people after they made their donation for Facebook content. The architects, g2 architects, provided a live computer aided design walk-through of the new cinema so people could see the vision and understand what they were signing up to support. The result – we ended up having a motza of a day, making $22,000 in donations on just that one day. Once the campaign started, we sent regular updates to the Inner Circle; had a regular spot on 2CHFM updating progress and encouraging support; almost fortnightly interviews on ABC Coffs Coast; and many features in the local paper. The Facebook campaign started thanking our supporters, including individuals, groups and businesses, and giving milestone updates which were widely shared. And we made the local news a couple of times. We could never have guessed the success of the campaign. We thought it would be fabulous to reach $50,000 in total and yet, in four weeks, we reached our target of $75,000. We re-set the target to $125,000, which meant we would be able to buy the new screens & curtains as well as the seats, but again, I didn’t actually think we would make it. But make it we did. In the last 10 days or so of the campaign, we pulled in $30,000 – taking the final amount raised to $142,500. Maybe even more extraordinary was how far the story spread – we ended up with donations not only from across Australia but also from around the world, as far afield as Turkey, France, Japan, UK and LA. In total, 480 people donated to our campaign. And our story was picked up by the Sunday Telegraph, and many online arts and film hubs, such as Regional Arts NSW, Arts NSW, ScreenNSW, Create Australia and Inside Film. In early 2013, when we were on the hunt for our very first crowdfunding campaigns, I met up with Rob Caslick in a rather unglamorous hotel lobby in King’s Cross, Sydney. Rob was an engineer by day but at night transformed into volunteer-extraordinaire, running a weekly Organic soup kitchen for 50 people at his parish church. We chatted about a potential campaign for the soup kitchen, but it wasn’t until November that year when Rob approached us about a Refugee Rooftop Garden he wanted to crowdfund, that we really got down to battle planning. Rob launched their campaign on December 2. In 50 hours, he’d hit his target of $15,000. By Christmas he’d raised $30,000, been featured in the Sydney Morning Herald and ABC Radio, and was fielding calls from the 7:30 Report and TV celebrities wanting to be part of the campaign. To say that the Refugee Garden had a long incubation period would be a massive understatement. I had been talking up the idea for 12 months to anyone who’d listen but it wasn’t until a meeting with the Jesuit Refugee Service (JRS), which is located directly above the Soup Kitchen I ran, that the idea for the Rooftop Refugee Garden idea really became a reality. Then of course there was the issue of money. We had planners cost out the project and the absolute minimum we needed was $15,000. We did the usual thing of applying for grants, but when they didn’t work, we turned to crowdfunding. The team at Chuffed talked us through exactly what we needed to prepare to make the campaign a success and since I have a military background, I thought I’d theme the campaign as a military battle. It added an element of humour to the campaign (at least to me). After stripping my Gmail contact list and realising I had about 500 people to send the campaign to, it became pretty clear that only sending the campaign to that list was going to be a failing strategy. The team at Chuffed suggested that I needed a list closer to 3,000 people to make the campaign work and the only way to do that would be to recruit more people to the cause. People involved in the project: I had the full project team commit early – the landscape architectural company produced a budget, the structural engineer looked for drawings and started to comment on how much weight we could hold. All of these people became automatic soldiers. The super keen-beans: While I’d been talking up the project to anyone who’d listen, I kept note of the ones that got excited. They also became automatic soldiers. We are about to launch a crowd funding campaign to raise the funds to build our garden above JRS. I am looking for some campaign soldiers. You get a free Refugee Garden T-shirt and all I ask is that you send out an email to all your work colleagues and friends on December 1st. Asking them to donate to our project. The email will be a link to the campaign website (www.chuffed.org) where we will be hosting our campaign. I met with Indira Naidoo who set up the Wayside Chapel Rooftop Garden yesterday. She has invited us to tour the garden with reverend graham long. They have a great garden with bees and indigenous herbs. The tour needs to be a Thursday and I have penciled in November 28 at 5pm. Let me know if you would like to be involved. Four weeks out from the campaign, we’d recruited 15 foot soldiers. These 15 foot soldiers were pure gold. They were our first donors and our biggest evangelisers. I wanted them to feel part of the inner circle – like they were part of the team, not like I was asking them for something. Three weeks out, we sent out the campaign to the soldiers and asked them for feedback. Two weeks out, we personally called every soldier and ran them through what the attack plan was. Thanks for offering to go into battle for the Refugee’s Garden in Kings Cross. The campaign runs for December and January, but our target is to raise $15k by Christmas. This gives us about three weeks starting Monday December 2. We need to go in hard. We have selected the finest 15 soldiers. Your campaign mission is to raise $1000 each and/or send the campaign link out to 500 people. We have had a lot of support so far.
. Sargent Christine Manfield (celebrity chef and author) has offered to cook for the first 40 people to donate $150. Dinner will be in the garden mid Feb 2014 (no pressure). 3. Lieutenant Danielle Zorbas has put together the attached campaign video. Thanks also to Frances Yeoland for her graphics, Dappled Cities for the music and Mr James for being part of this campaign. Your first mission: Please can you send out an email to your friends, colleagues and clients this week, with a link to this video introducing them to James and establishing the need for the garden. For convenience I have typed up the below email for you to copy paste. (Feel free to amend to suit). The campaign goes live on Monday December 2. We will ask you to send a follow up email on Monday afternoon to officially launch the campaign and to start collecting donations. Feel free to call me with questions or comments. A sincere thank you again for being part of this. Meet James. A new resident of Australia. From arriving by plane, James had to wait almost 5 years for his refugee application to be processed. He suffered depression and anxiety. To help James and other Asylum Seekers living in Sydney we are building a garden. The aim of the garden is to provide a place of meaningful and familiar activity. An opportunity to give back to the community by growing foods for the soup kitchen below. An opportunity to start engaging with the community and improving conversational skills. Please watch and share this 3 minute video we have created. Our goal is to raise a total of $15,000. All help welcome. Our campaign starts next week. You’ll notice that I quite explicitly talked about the actions that other soldiers had made. This was deliberate. Talking up the contribution soldiers have already made, inspires the other soldiers to action. Well done. Our preemptive strike has been successful. Many people are already emailing me wanting to donate. Once the campaign goes live donations are simple. The plan now is to finalise our online crowdfunding campaign. I plan to do this on Saturday. On Monday please be prepared to send out your emails again. Studies suggest that people are more ‘giving’ after lunch. I aim to send some out at about 130pm. Tuesday’s after lunch are also a good time. – Sun Tsu: The Art of War. Soldiers, Time to break out the face paint. The campaign goes live at 1pm. Our campaign message: We understand Christmas is a time of giving. If you give to one charity this Christmas, please give to us. From 1pm, please also copy the link into your social media or press share/like when you see others have done it. I have typed up the below email for you to send. Feel free to amend to suit or create your own. A sincere thank you for your support in the campaign so far. See you on the other side! It can take five years for a refugee application to be processed. This means five years in limbo without work permits and without meaningful, five years of vulnerability, without family and friend support networks. We are building a rooftop garden for these asylum seekers. But our rooftop garden will grow more than food; it will grow opportunities. Opportunities for refugees to participate in familiar activities and grow traditional foods. Opportunities for meaningful activities during periods of uncertainty. Opportunities to increase self worth. We understand that Christmas is a time of giving. If you give to one charity this Christmas, please give to us. It’s not all about giving, in return for your donations, we are offering t-shirts, a dinner with Christine Manfield, a cocktail reception and garden memberships. The result was extraordinary. We raised $4,724 in our first day. A third of the way there. The momentum of Day 1, spilled over to Day 2 and by the end of the day we were just shy of $7,000. Thanks to Tactic 2 (below) by Day 3, we hit our target. At each milestone, I emailed the soldiers to keep them excited – everyone loves to be part of a team that’s winning. You have fought well. In just over 36 hours we have raised $6734. We have only 7 tickets to Christine Manfield left! This afternoon back up arrives. An email goes out to the entire Parish of St Canice’s. If you yourselves were going to purchase tickets to Christine [one of the perks] please do so before 2pm. If you can’t and would like me to put a ticket aside for you, let me know. Subject: Victory – $15,000 raised. Soldiers, you have fought a great fight. Together we raised $15,000 in one of the fastest social crowd funding campaigns in Australia. Congratulations, to each one of you. No doubt, there will be more battles to fight. But with the huge support we have had it gives me confidence and courage that we are on the right path. I look forward to sharing the journey with you. As a thank you, I have added your names down for a t-shirt and a ticket to the opening cocktail event. The intention is to leave our campaign live and go for $20k. An additional 5k will allow us to build a pergola with hanging vines and a seated area for reflection. A huge thanks to our friends at Chuffed.org. They have mentored me in this campaign and also provided us with a $1,000 bonus. (2,000 if we get to 20k). Enjoy your day. The second part of our battle plan took a very similar approach to the first, but with a different audience – the influencer organisations. We had been working with quite a few partner organisations at the Soup Kitchen for quite a while and I knew they were extremely influential in the food industry. Two months prior to the campaign starting, I began engaging with two large influencers (Food Connect and Feather & Bone) about the campaign. I asked them if we could add their logos to our Chuffed page to add credibility and weight to our campaign and then asked if they could send out the campaign to their mailing lists. The campaign for the garden will go out to quite a few people next week. I was thinking to put the Feather & Bone logo as a supporter of the kitchen and garden. Is this ok with you? I can’t overstate how important the support of these influencers was to our campaign- and in particularly the email that they sent out. They multiplied our reach several fold, celebrated our victories with us, and added credibility to the project. Click here to read the email that Feather & Bone sent out to their mailing list. The Welcome to Australia team (a refugee support organisation) also helped by reposting our campaign on their Facebook page – the post received 455 likes and 28 shares. All these influencers had one thing in common – they all cared about an issue that we also cared about. Luckily for us our campaign hit two big issues – food and refugees. Listen to the guys at Chuffed. Without doubt their advice helped us raise more money. They have done this many times before and actively helped us better engage our audience. They did everything from helping us write emails and media releases to campaign strategy advice to fielding calls from the media. The campaign is won or lost before it begins. It is all about the four weeks prior to the campaign and how you launch. If you don’t launch hard, you won’t make it. Multiply yourself. Allow other people to own your campaign. Don’t just ask people to donate, ask people to treat the campaign as their own and have them raise funds for you. The more ownership they have the more money they will raise. Engage the influencers. Our campaign had a huge kick once the influencers told their audience. The best influencers are people who already support you, but next in line are people that care about the same issues you do. Involve them early, make it easy for them to share your campaign, and you’ll be amazed how much their support will mean. Confidence matters. When you communicate to your soldiers, you have to remain in control and remain confident of success. You don’t start a battle by telling your soldiers ‘if we’re lucky we might win this one’. And finally, running these campaigns is hard work, particularly if you’ve got a day job! Just check out the times those emails were sent! But it’s also extremely rewarding – we didn’t just raise $30,000 for our garden, we built a whole community around it. That’s the power of crowdfunding.